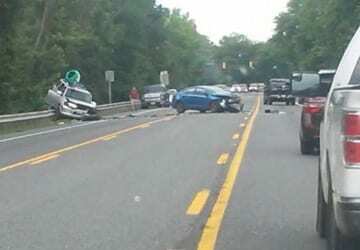 UPDATE: MD-152 has been shut down from Reckord Road to Old Joppa Road. A Medevac chopper will be landing at Reckord Road Park. Crews are responding to the scene of a serious, Thursday afternoon crash in Joppa. The crash was reported at about 3:45 p.m. at Mountain Road at Old Joppa Road. There are multiple serious injuries and four ambulances have been called to the scene. Crews are using the jaws of life to rescue two trapped patients. Mountain Road has been shut down.